Russian pianist Denis Evstuhin has earned international acclaim for his vibrant artistry, remarkable sound quality and brilliant virtuosity by audiences and critics alike. Denis has performed in major cities throughout Europe, Russia, and the USA. He has appeared on stages of the world’s most prestigious venues, including Walt Disney Concert Hall in Los Angeles, the great Tchaikovsky and Rachmaninoff Halls in Moscow, the Mariinsky Theater and Philharmonic Halls in St. Petersburg, as well as Orchestra Hall in Minneapolis. Evstuhin appeared as a soloist with the Mariinsky Theater Orchestra, Minnesota Orchestra, San Diego Symphony, Fairbanks Symphony, and the Sioux City Symphony. Denis has earned prizes in a number of international competitions around the World. In 2010 Denis was a guest on Garrison Keillor’s A Prairie Home Companion. Denis holds a B.M and M.M. from the St. Petersburg Conservatory. While in the USA, he received DMA degree in Piano Performance at the University of Minnesota (studio of A. Braginsky). Evstuhin has participated in master classes, performing for some of the most distinguished pianists of our time. After a successful performance at The Museum of Russian Art in Minneapolis in July 2009, Denis was invited to organize and serve as Artistic Director of Music at the Museum, a concert series featuring a wide range of Russian classics. Recent highlights include a performance with Osmo Vanska and Erin Keefe in Minneapolis and 2014-2015 US tour. Russian-born pianist Anton Melnichenko has been performing on several continents since his first solo recital at the age of twelve. His performances have always garnered him both public and critical acclaim. In addition to top prizes Melnichenko has received various special audience awards on numerous international competitions. 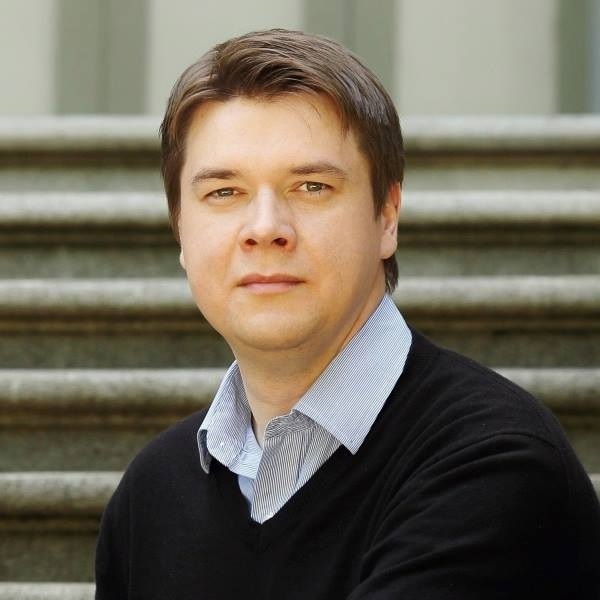 A graduate of the prestigious Tchaikovsky Conservatory in Moscow, Anton has also received an Artist Diploma at Hamline University, as well as his Master’s and Doctoral degrees in Piano Performance from the University of Minnesota, where he studied with Professor Alexander Braginsky. Melnichenko has earned top prizes in a number of international and national competitions, including first prizes at the International Competition “Citta di Fasano” (Italy), the Shubert Club Competition (USA), International Competition The Art of 21st century (Ukraine), Gavrilin International Piano Competition (Russia), as well as the fourth prize at the V International Piano Competition in Andorra. He has also appeared on many television and radio stations in Russia, US and Europe, such as Minnesota Public Radio, Russia K Channel (Culture), Russian National Television and others, performing works by Bach, Mozart, Chopin, Tchaikovsky, and Shostakovich. Besides his solo career Anton Melnichenko is an established collaborative pianist and has been working with many instrumentalists and vocalists around the world. He is also a staff collaborative pianist at Hamline University. Praised by the New York Times for her “lush, sizable and luminous voice”, Russian soprano Mlada Khudoley has performed at such illustrious theatres as Metropolitan Opera, Covent Garden, Bolshoi Theatre, Mariinsky Theatre, the Royal Opera of Denmark, the Deutsche Oper am Rhein (Dusseldorf), the Stuttgart Staatsoper, the Leipzig Oper, the Graz Oper, the Teatr Wielki (Warsaw), the Greek National Opera, the Teatro Massimo (Palermo), the Teatro Regio (Turin), opera houses in Los Angeles, Washington, Dallas, Minnesota, Vancouver (Canada), Tel Aviv, the Latvian National Opera and the Kazan and Yekaterinburg Opera Houses. She has performed with such outstanding conductors of the present day as Valery Gergiev, Seiji Ozawa, Semyon Bychkov, Gianandrea Noseda, and the singers Placido Domingo, Anna Netrebko, Elina Garanca, Vladimir Galuzin, Bryn Terfel, among other. Her repertoire includes Bellini’s Norma, Santuzza (Mascagni’s Cavalleria Rusticana), Donna Anna, Donna Elvira (Mozart’s Don Giovanni), Manon (Puccini’s Manon Lescaut), Fevronia (Rimsky-Korsakov’s The Legend of the Invisible City of Kitezh), Strauss’ Salome (Salome) and Ariadne (Ariadne auf Naxos), Tchaikovsky’s Lisa (The Queen of Spades), Tatiana (Eugene Onegin), Verdi’s Lady Macbeth (Macbeth), Aida, Abigaile (Nabucco), Violetta (La traviata), Wagner’s Sieglinde (Die Walkure), Senta (Der Fliegende Hollander), Elisabeth (Tannhauser) among others. 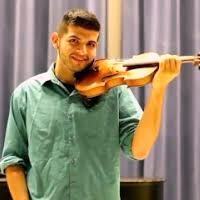 James Zabawa-Martinez was born in Austin, TX and began his studies at the age of 11 in his middle school orchestra. When James was 14, he met violinist Jennifer Bourianoff from the Austin Symphony and began to study with her. Shortly after, he moved to Faribault, MN to attend Shattuck-St. Mary’s Pre-Conservatory Program, where he studied with professor Sally O’Reilly. Mr. Zabawa-Martinez continued his studies with her through earning his bachelor’s degree from the University of Minnesota. He also holds his master’s degree at the University of Texas at Austin with professor Brian Lewis, and maintains an active teaching studio at Orpheus Academy of Music. Currently, he is pursuing a Doctoral degree at the University of Minnesota where he studies with professor Sally O’Reilly. James has performed in various master classes for teachers including Joseph Silverstein, Pamela Frank, Ani Kavafian, Angie Fuller, Yair Kless, Jonathan Magness, Vijay Gupta, Bruce Coppock, and many more. 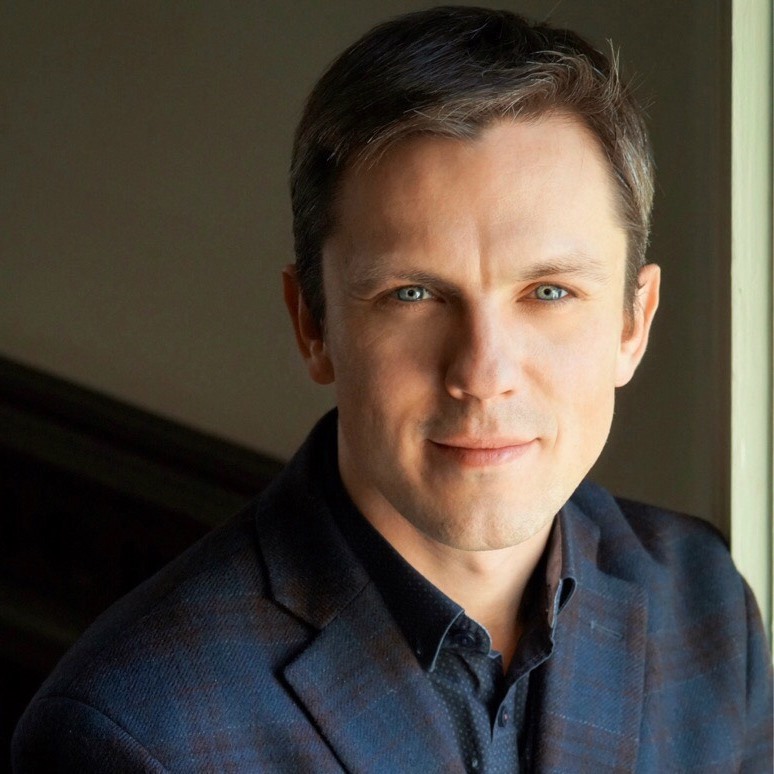 James has performed throughout Europe and North America as a soloist and chamber musician, and has participated in national-level competitions such as the Sphinx Competition, Saint Paul Chamber Competition, Music Teachers National Association, and more. 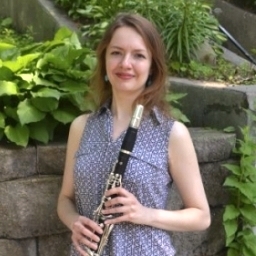 Ukrainian-born clarinetist Anastasiya Nyzkodub is currently completing her Doctorate of Musical Arts degree at the University of Minnesota where she studies with professor Alexander Fiterstein. Prior to her DMA studies she also completed her Master’s degree at the University of Minnesota. Ms. Nyzkodub received her Bachelor Degree in Clarinet Performance at Grand Valley State University in Michigan. Before coming to the US, Anastasiya studied clarinet with her father, Sergiy Nyzkodub at the College of Arts in Khanty-Mansiysk (Russia). She participated in a summer program New Names in Russia and played in a chamber ensemble Consone. While pursuing her Bachelor degree she played and toured with New Music Ensemble. In 2015 Ms. Nyzkodub received a First prize at the Thursday Musical Young Artist Competition. During past seasons she performed with Minnesota Fringe opera and Mankato Symphony. She was a semi-finalist of the William Byrd Young Artist Competition (2017). Russian-born pianist Irina Stene started her professional musical education at the age of 6. 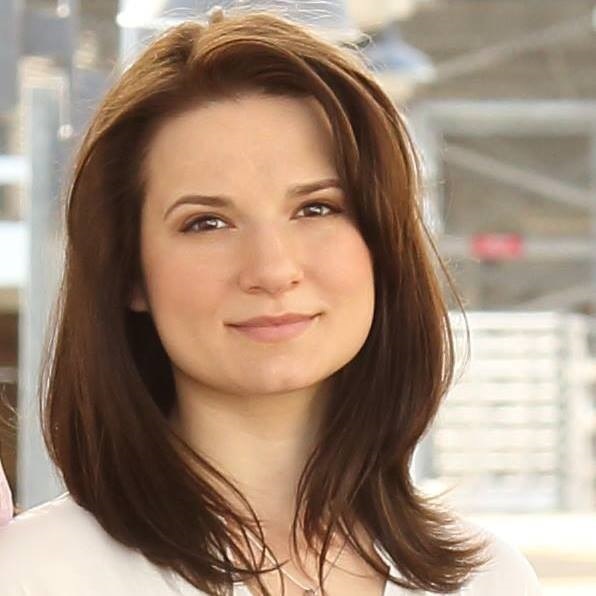 She holds a Bachelor's degree from the Music Academy in Arkhangelsk, as well Master's Degree as the Petrozavodsk State Conservatory, and Doctoral Degree in Collaborative piano/Coaching at the University of Minnesota. 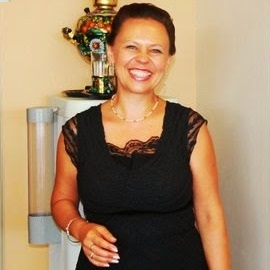 She has served as staff accompanist/pianist at a music school in Saint-Petersburg, Russia working with children's groups and maintaining a private piano studio. Stene has collaborated with Saint Cloud State University, and St. John's University/St. Ben's College, playing both faculty and student recitals. She has participated in master-classes with Arlene Shrut (Julliard School of Music), Margo Garrett (Julliard School of Music), Tomas Muraco (Manhattan School of Music) as well as several others and have had an opportunity to perform with Scott Lykins (cello, MN), Richie Hawley (clarinet, TX), Nicholas Daniel (oboe, Great Britain), Jean Del Santo (soprano, MN), Philip Zawisza (baritone, MN). She has twice participated in annual Source Song Festival, MN where she worked with Olivier Godin (piano, Canada), Julius Drake (piano, Great Britain), Fraçois Le Roux (baritone, France), Stephen Swanson (baritone, IA). Russian-born Olga Schlosser started her musical education at the age of 6. After graduating from the Music School in Yekaterinburg, Russia, she continued her musical education at the Yekaterinburg Tchaikovsky Musical College. She has worked as a Soloist with Moscow's National Orchestra and has been involved in Music ministry at churches in both Russia and the US. In her teaching Olga Schlosser focuses on helping her students to find their unique voice as well as to develop stage confidence, musical style, and artistic potential. Stella Sokolovsky has begun studying piano at age 6 and was accepted to the Music Lyceum at the State Conservatory in Minsk, Belarus. At the age 11 she started performing in major cities throughout Belarus, Sweden, Norway, Finland, Great Britain, Canada and the USA, performing works by J.S. Bach, W.A. Mozart, Chopin, Liszt, Medtner, Liadov, Tchaikovsky, Rimsky-Korsakov, Rachmaninoff and others. Stella's musical education culminated at the State Academy of Music in Minsk, Belarus. In a summer of 1994 she had participated at the “Interlochen Art Camp” in Michigan, taking Master’s level courses of piano and organ performance. In 1998 Sokolovsky participated at master-class of the celebrated pianist Daniel Pollack. She has also earned several honorable diplomas from various International piano competitions in Europe. Her teaching experience has begun with coaching young students at the Belarusian State Academy of Music. For several years Sokolovsky has successfully taught piano for both young and adult students at Music for everyone School and the Millennium Center for performing arts in Minnesota. In her teaching style, Stella combines essentials of both Russian and American traditions and methods of teaching. Born in Michigan, Joan Wallace graduated from the Interlochen Arts Academy, and received Bachelor's Degrees in both Piano and English from the University of Michigan-Ann Arbor. Ms. Wallace received her Master's Degree in Piano Performance and Pedagogy from the University of Oklahoma, where she was also assistant to Dr. Jane Magrath. Currently, Joan is pursuing a DMA degree in Piano Performance at the University of Minnesota School of Music. Ms. Wallace teaches piano profesionally since 2011. For three years she served as a piano instructor at an international school in Northern India. She has presented at collegiate, state, and national MTNA conferences on a variety of pedagogical topics. She has also served as a judge for piano competitions and auditions in both India and the United States. 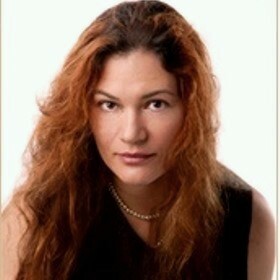 She has performed in the Haydnsaal of Esterházy Palace and for the Beethoven Institute at Mannes College of Music. Her interest in chamber music has led her to perform as a fellow in the UNL-Chamber Music Institute and for Hot Springs Music Festival. 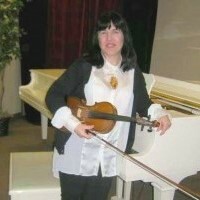 Academically trained musician, performer, and teacher, Irene Merz was born in Tbilisi, Georgia and received her Master's and Doctoral Degrees at Tbilisi Conservatory of Music. She is a Third-place winner of the 7th Annual Competition for Caucasus region musicians. While in Georgia, Irena was a member of Kutaisi Symphony Orchestra and Tbilisi Conservatory Symphony Orchestra. Irene enjoys sharing her professional skills with students of all levels, from beginners to advanced, using a unique combination of 35 years of educational and performance experience. Irene is also an experienced music therapist. She organized and participated in various musical programs at hospitals, orphanages, and nursing homes.